Constance Langton grows up in a household marked by death, her father distant, her mother in perpetual mourning for Constance's sister, the child she lost. Desperate to coax her mother back to health, Constance takes her to a séance; perhaps she will find comfort from beyond the grave. But the meeting has tragic consequences. Constance is left alone, her only legacy a mysterious bequest that will blight her life. So begins this brilliant and gripping novel, a dark mystery set in late-Victorian England. In this tantalizing tale of Victorian ghost stories and family secrets, timid, solitary librarian Gerard Freeman lives for just two things: his elusive pen pal Alice and a story he found hidden in his mother's drawer years ago. Written by his great-grandmother Viola, it hints at his mother's role in a sinister crime. 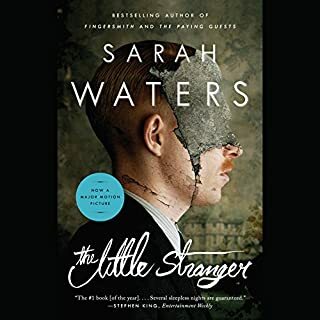 As he discovers more of Viola's chilling tales, he realizes that they might hold the key to finding Alice and unveiling his family's mystery - or will they bring about his untimely death, as they seem to foretell? 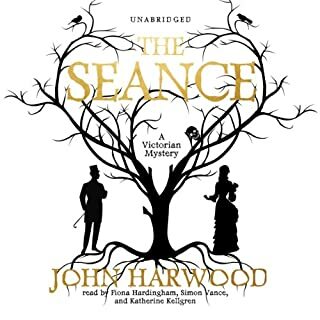 Harwood's astonishing, assured debut shows us just how dangerous family skeletons - and stories - can be. In 2004, I took "The Ghost Writer" on a long, dreaded flight. By the time the plane landed, I knew I would be reading everything Harwood published for the rest of my life. Listening to Simon Vance's performance was such a treat. It's like when you listen to a piece of music and love it on an emotional level, then listen again to find the deeper structure and beauty. "The Ghost Writer" is all the more impressive ten years after. Harwood plays fair and respects his reader. All the clues are there but he expects you to pay attention and think things through. His foreshadowing is subtle and well-timed. There is no dumping of information or meaningless backstory, and every scene contributes to the advancement of the plot. His writing is masterful, and as a poet, some of his imagery is arresting, but his prose never calls attention to itself. Add to that compelling characters and layers of intriguing mysteries waiting to be solved, and you've got a writer worth reading every time. In a world of overwritten, self-conscious twaddle we are told is "literature," modern masters like Harwood shine all the more brightly. He provides everything I read fiction for and I hope he will continue to write novels for many years to come. If you're looking for a good ghost story for the Halloween season, this one is a good bet. Allusions to creepy literary spinsters—Henry James's Miss Jessel and Dickens's Miss Havisham—create the atmosphere for this gothic suspense novel. The protagonist grows up in Australia with a mother who refuses to speak about the details of her childhood in England. As he grows older, he becomes increasingly curious about his mother's reasons for leaving England and her reluctance to talk about her past. 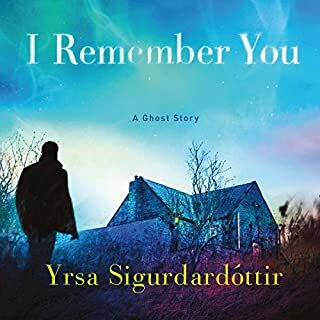 He returns to England and begins to piece together what might have happened, discovering short ghost stories written by his great-grandmother, Viola. These wonderfully spooky tales, filled with supernatural occurrences and séances, are interwoven into the main narrative and offer tantalizing clues about the family's history. The narrative can get a bit confusing at times, as we jump between Viola's stories and the protagonist's life, something that probably is a bit more of a challenge in the audio format. One must pay close attention to keep the characters straight or be prepared to rewind in order to keep track of the story--I had to rewind several times but actually welcomed the chance to do so because I really didn't want the book to end. The ending makes perfect sense but you really have to think about it. Happy hauntings! What did you love best about The Ghost Writer? A unique twist on the classic genre. This is a great story. Interesting characters and great twist at the end. 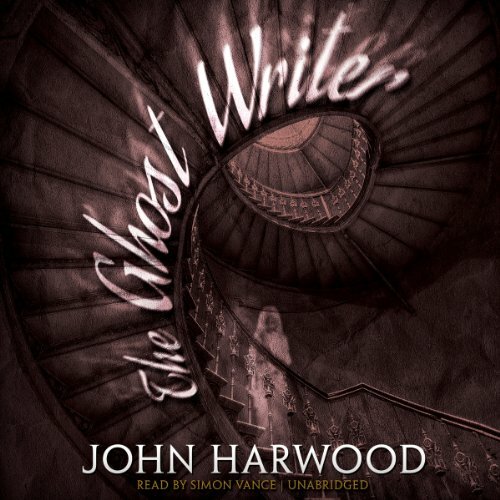 Would you consider the audio edition of The Ghost Writer to be better than the print version? I rarely write reviews but wanted to weak up fr this beautifully written and actually suspenseful book regarding the ending. Anyone who simply pays attention, lets the book happen and doesn't have expectations of their own will understand the ending. Honesty, anyone who just pays attention will. I almost didn't buy this book because of the reviews and amI glad I chose to ignore them. What was one of the most memorable moments of The Ghost Writer? Yes and he's wonderful as usual. 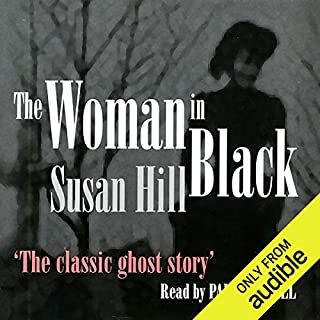 The Narrator is excellent and the story very good, though there are many stories within stories so sometimes it's challenging to keep track of who is who, especially in audio book format. I should have liked a little more story at the conclusion, but really, very good. the author is an excellent writer, not just because of plot, but also his eloquence of phrasing. Not once did I find the expressions tedious or unrealistic or overdramatised. I respect Harwood for trying to bring us a gothic Victorian. From the start, I enjoyed the obvious allusions to great supernatural and suspense novels by James, Dickens, DuMaurier, etc.. I also respect that he tried to honor the Victorian writing style. Unfortunately, he captured it too perfectly, so the novel plodded painfully along and sometimes irritated me. With that said, the scenes leading up to the end were deliciously creepy and made up for the conventional, predictable, abrupt finale. Sadly, I wanted to love this work and just couldn't because of the writing style. I am not sure I will try his other novels. What made the experience of listening to The Ghost Writer the most enjoyable? 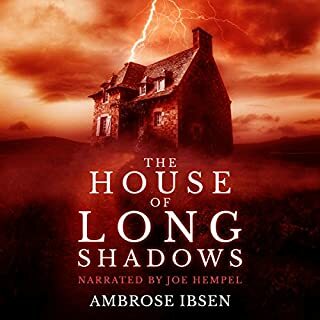 Simon Vance does an excellent job in this narration and in all others I have heard from him. Living a very solitary life with his overly anxious mother, Gerard Freeman’s only reason for getting up each day is his pen friend Alice. They share everything from the mundane to the mysteries and secrets that surround Gerard’s mothers past. Gerard finds his great-grandmother Viola’s ghostly manuscripts and they take him down a shadowy path leading to a dreadfully real crime. Gerard’s passionate struggle to uncover the truth puts him in mortal danger and may just cost him his chance to be with Alice. When I first began The Ghost Writer, I found it interesting, but I wasn’t awestruck, I just kept waiting for “something to happen”; for a while I thought it never would, but slowly that changed and I was drawn into the intricate account of Gerard Freeman’s life. One thing that really impressed me was the author’s ability to tell a story within a story, in fact at one point a story within a story within a story. To keep the reader engrossed in a tale and then bring them back to be just as engrossed in the overall tale takes an admirable skill, in my opinion. With that being said, the ending of the book left me puzzled and confused. That part is frustrating. Simon Vance narrates and does a superb job. I have always enjoyed his narration and some of the accents he does makes me forget that it is he alone narrating. The characters come so much to life it also makes me wonder what his real voice is like and where he originates from. 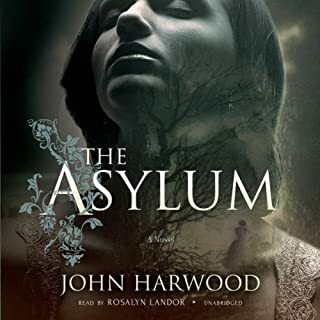 I was so looking forward to this book, having loved 'The Asylum'. But I found 'The Ghost Writer' almost impossible to finish with its extraordinary mixture of gothic fantasy and supposedly real life. I plodded on till the end because I felt that the whole thing must eventually come together and I suppose in a way it did, but I was left feeling it had been a total waste of time. I certainly wouldn't recommend it to anyone. Do you think The Ghost Writer needs a follow-up book? Why or why not? I did see the end coming but only just, it was a good story and kept me guessing and puzzling. Because it does what horror should do. It is scary, chilling and effortlessly gothic. The narrator probably. A relatable narrator who manages to tell a great ghost story while still having great character is something even M.R James struggled with on occasion. His accent is a touch odd at first, but then as the book goes on you realise just how versatile a performer he is, bringing chills and a unique perspective on each character. The ending, and the way each of the ghost stories played out. But a good horror book is measured by how well it pulls off it's big 'twist'. You may think you see this one coming, but you don't. You REALLY don't. It's a great slide of modern gothic with ingeniously intertwined stories. The epilogue is perhaps more abrupt than I would like, but this is a skilfully written and frightening novel.